Stainless steel and aluminum are both worth collecting, but we all know that their values are different—and, of course, you’re going to get more money for each scrap haul if you sort different types of scrap out from one another. However, telling the difference between aluminum and stainless steel can be very challenging, especially when you’re out in the field without a ton of tools to help you in identifying different metals. Here’s a short, helpful article on how to tell the difference. Aluminum is a great deal lighter and more malleable than stainless steel, while stainless steel is generally much stronger. The malleability of aluminum, but its overall lower strength, comes from the fact that it is a much softer metal. This will be important later, as it’s the key factor in the handy tip we’ll give you in the next section of this post. Both of these metals are so useful because they’re so different—each of them is better than the other for a certain application. For example, stainless steel‘s strength and corrosion resistance make it ideal for use in the construction field. Aluminum, on the other hand, is one of the primary materials used to make airplanes, because it is so lightweight—obviously a big consideration when you’re making something that’s intended to fly! The challenge when it comes to identifying aluminum or stainless steel, though, is that they look so similar. A lot of scrappers don’t know how to tell the difference out in the field. However, we’ve found a simple test that a lot of our top scrappers use to determine which is which—and the best part is, it’s very easy to do. The easiest way to get started as a scrapper is to start scrapping materials in your own home. You can learn many of the skills necessary to becoming a successful scrapper, without the added difficulty of looking for and asking permission to take recyclable materials. Most people are surprised when they find out how much potentially valuable recyclable scrap metal is in their own home—and love making a positive impact on the environment while also earning a little extra cash. Steel is an essential material that scrap yards are constantly seeking. In fact, as much as 50% of the steel created in the United States ends up being recycled to make new steel components. This is good for the environment and the economy because steel can easily be reused to create new steel products. However, not all steel is the same—and different steels fetch different values. 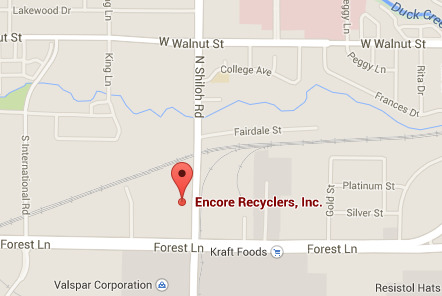 To make the most money when recycling your scrap with Encore Recyclers, you should learn a bit about different types of steel. Recycling steel is great for the environment, and it’s also one of the most valuable metals to recycle. 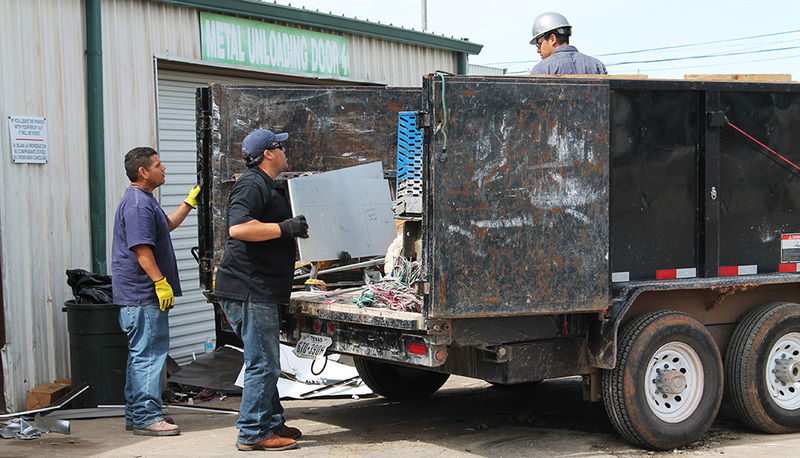 If you want to make some extra money recycling metal, or you’re just interested in how scrap metal recycling works, steel is a great place to start learning. Steel is a highly versatile metal made by mixing iron with materials such as carbon. Because it is an alloy, or a metal made from a chemical mixture, it can be made in a wide variety of ways for different applications. It’s used in everything from household appliances like refrigerators and washer-dryers to cars to firearms to aviation and manufacturing equipment. There’s even plenty of steel being used under the ocean and in space right now! Steel is also one of the best materials in the world to recycle. Because steel is so widely used, it is always worth something—and because it consists of so much iron, very little material is lost during the recycling process. This means that used steel appliances and components can easily be recycled into new steel appliances and components, which helps offset the environmental impact of mining new iron and producing new steel. Because it’s one of the most valuable and eco-friendly metals to recycle, it is also the most widely recycled material—metal or otherwise—in the world. In the United States in 2000, over 60 million metric tons of steel were recycled. As recently as 2008, 83% of US steel was recycled. Even though there’s a high supply, though, there’s an even higher demand for steel. This means that recycling your scrap steel can make you money while you help protect the environment at the same time.